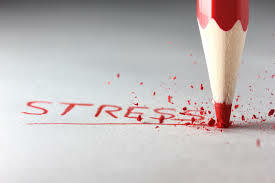 Stress – in small doses can actually help you perform better when you find yourself under pressure, but when stress becomes unpleasant and constant it can have an effect on your ability to act and think clearly. When you feel stressed you are more likely to misread people and send confusing non verbal signals. How many times have you felt stressed during a job interview or a disagreement at work and said or done something you later regretted? If you can relieve that stress quickly you can not only avoid such regrets but you can help calm the other person as well. When stress hits you might not be able to just go for a run – especially if you are in the middle of a meeting or interview – but if you can reduce stress quickly you can handle the situation better. *Know when you are getting stressed – do your muscles tense? Is your stomach tight or sore? Is your breathing shallow? Recognise the symptoms and try and get on top of them. *Agree to disagree – take time to allow everyone to calm down, go for a walk or take a quick break. Our emotions play a part in everything we do; from work, to home and during job interviews, and is often more the way you feel, than the way you think that helps motivate your conversations and decisions. If you are out of touch with your feelings – perhaps you don’t understand why you feel a particular way you will struggle with being able to communicate your feelings to others – this leads to misunderstandings and conflict. If you can’t sort out what it really is that is bothering you it can lead to silly *squabbles*. Being emotionally aware gives you the tools to help you understand others and the messages they are trying to convey to you. So, how can emotional awareness help improve your communication skills? *Try and understand yourself – what is it that is bothering you and why? *Build strong relationships based on respect and trust, try to solve problems, resolve conflicts and think creatively. *Stay motivated try and understand the person you are talking to even if you don’t agree with them or don’t like them. When you have strong emotional awareness you will be able to know what you’re feeling even without having to think about it. The goal to good communication is a balance between thinking and feeling. Being emotionally aware is a skill you can learn with patience and practice and when you know how to do it well you will remain in control of your emotions and behaviour allowing you to communicate perfectly in a stressful situation.